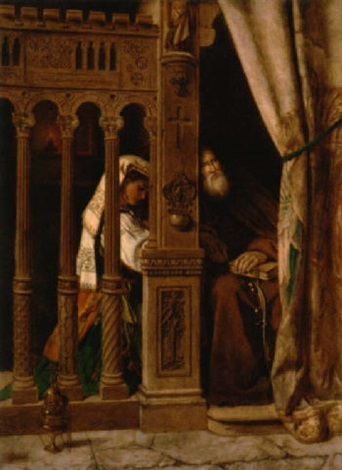 The inviolability of the secrecy of the confessional is one of the pillars of Catholic morality. The new Catechism of the Catholic Church says that “every priest who hears confessions is bound under very severe penalties to keep absolute secrecy regarding the sins that his penitents have confessed to him. He can make no use of knowledge that confession gives him about penitents' lives. This secret, which admits of no exceptions, is called the "sacramental seal," because what the penitent has made known to the priest remains "sealed" by the sacrament.” (n.1467) The New Code of Canon Law, inflicts latae sententiae excommunication on the priest who violates the sacramental seal (Canon 1388 - §1). For the Church no reason whatsoever can justify the violability of the seal of the confessional, since, as St. Thomas explains “the priest has knowledge of those sins, not as a man, but as God knows them”. (Summa Theologiae, Suppl., 11,1ad2). The visit this past November of Father Davide Pagliarani, new Superior-General of the Society of St. Pius X (SSPX), to the Ecclesia Dei Commission in Rome has revived the everlasting matter of the relations between the Holy See and the society founded in 1970 by Archbishop Marcel Lefebvre, raising speculations on the possibility of having this body officially recognized by the Vatican. Inquiring minds wonder if a tendency that wants regularization or not has assumed command of the SSPX. Here and there, a commentator strives to know if doctrinal agreements should be reached before considering a practical agreement, reaching back to a configuration that resembles the situation of 15 years ago. But where, concretely, should these discussions lead? Should they wait until Rome has finally condemned Vatican II, or rather are mere safeguards enough? This point remains to be clarified. Last August, Rorate posted an original article by Dr. John Lamont on the infallibility of canonizations. 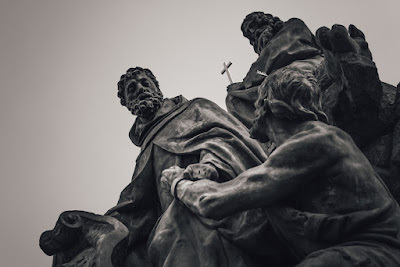 The article generated considerable debate, which prompted Dr. Lamont to write the following piece on canonizations and the morals of the faithful. Scrupulosity has never been a Catholic virtue. 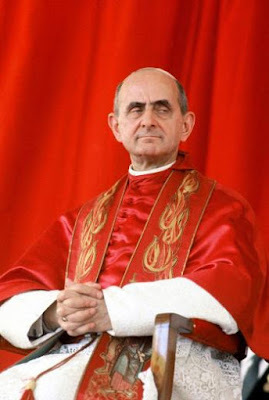 A number of discussions of the infallibility of canonisations have appeared recently in connection with the canonisation of Paul VI. Some of these, including a discussion of my own, have argued that the act of canonisation is not necessarily an infallible pronouncement, and therefore that the canonisation of Paul VI does not require Catholics to believe that he is a saint in heaven if they have serious reasons for holding that he was not a saint. This conclusion has been rejected by many Catholics who consider themselves to be conservatives or even traditionalists. 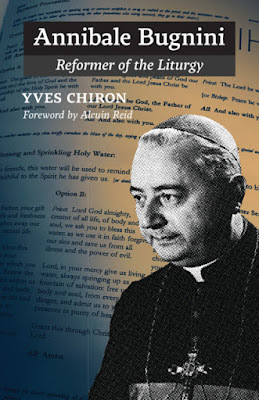 The basis for this rejection has not been a conclusive proof of the heroic virtue of Paul VI, but rather the assertion that canonisations are always infallible. This rejection is not theologically well-informed, but it is presented with an air of authority that can take in Catholics who are not familiar with the theological issues involved. It is thus worthwhile to provide in more detail the theological reasons that establish that not all canonisations are infallible, and that Catholics are not required to accept that canonisation is necessarily an infallible act of the magisterium. We should begin by explaining the scope of the infallible teaching authority of the Church. This authority extends to all divinely revealed truths that form part of the deposit of faith, and also to all those truths whose acceptance is necessary in order that the deposit of faith can be effectively defended or proposed with sufficient authority. The latter category of truths are termed the secondary object of the infallibility of the Church. Next, we should define the question being addressed. It is beyond question that the sanctity of some individuals is infallibly taught. It is divinely revealed, for example, that the good thief is a saint in heaven. Other canonisations can undoubtedly be judged to belong to the secondary object of infallibility. The teaching that St. Paul lived a life of heroic virtue after his conversion and is now a saint in heaven is necessary for the credibility of the inspired teaching that the Church has received from him, and hence forms part of the secondary object of infallibility. URGENT: Ecclesia Dei Commission for the Latin Mass to be extinguished? 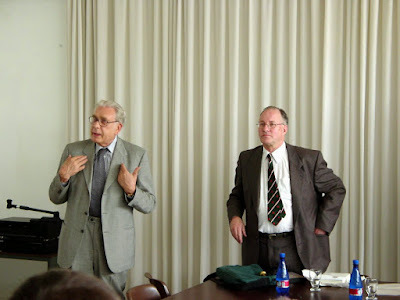 Its functions would be completely amalgamated and absorbed by the Congregation for the Doctrine of the Faith (CDF), to which it has been closely linked since the beginning, and in particular since July 2008, when the Prefect of CDF was made head "ex officio" of Ecclesia Dei. 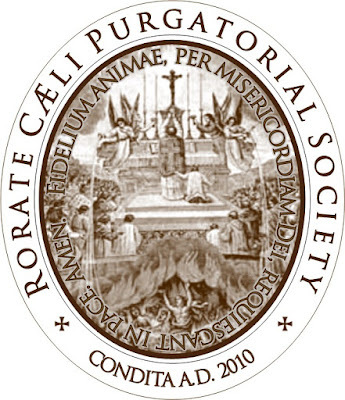 Despite the close links, the limited structural autonomy of PCED had proven extremely beneficial to the integrity of the Traditional Latin Mass, especially since the motu proprio Summorum Pontificum, of July 7, 2007, had given PCED important functions regarding the Traditional Roman Rite. 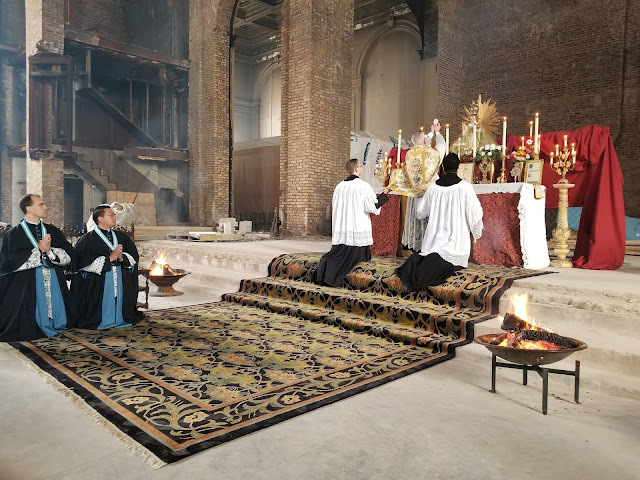 Is it a first step in the dismantlement of Summorum Pontificum? UPDATE: Observador has published a denial by the bishop. Click here to read it. 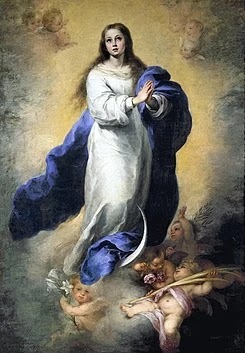 In it, they dismantle all "myths" related to Christmas, including its December date ("probably September"...), but the greatest scandal of all is the direct attack on several Dogmas related to the divinity of Our Lord Jesus Christ and the purity of His Immaculate Mother, the Blessed Virgin Mary. Fontgombault Sermon for Christmas Day: "On Christmas, a mystery of love beyond measure is fulfilled." The birth of the Child Jesus in Bethlehem, its near and far context, have been abundantly retailed by the two evangelists St. Matthew and St. Luke. St. Mark, on the other hand, doesn’t evoke this period in the life of Jesus, and begins his Gospel with the preaching of John the Baptist. As to St. John, if he doesn’t actually mention the events related to the Savior’s birth, he prefaces his Gospel with the Prologue we have just heard. This blog was launched thirteen years ago today. 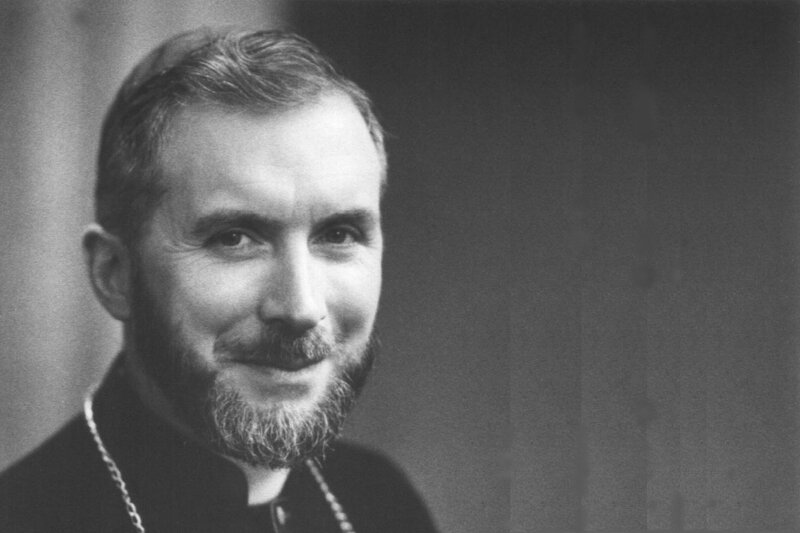 We thank Almighty God for the countless graces He has showered upon this apostolate, for the many souls that have been nourished by Catholic truth, encouraged by signs of hope, challenged by the demands of tradition, driven to prayer and fasting by the need to exorcise the demons of our time -- and, above all, moved to greater love and fidelity to Our Lord Jesus Christ, King of Kings and Lord of Lords. 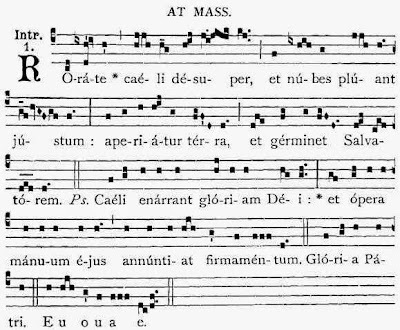 This, indeed, is what the magnificent, evocative, and pleading melody of the Introit at today's Mass conveys to us: "O heavens, let the Just One rain down like the dew, let Him descend from the clouds like rain: let the earth be opened and give birth to the Savior." In December 1918, Europe celebrated the first Christmas of peace after four years of non-stop bloodshed. The world that was born, however, was no longer that of yesterday. On November 3rd, the Austrian-Hungarian Empire had signed the armistice of Villa Giusti with the Allied Armed Forces in Padua. On November 7th, the German Chancellor received an ultimatum from the German Socialists, who imposed the abdication of Kaiser William II for Friday November 8th. The Grand Duke of Baden, notified the Sovereign, who was at his General Quarters in Spa, that he could no longer rely on the army and that a civil war was looming. Right up until the morning of November 8th, the Sovereign manifested his intention of reestablishing order and taming the Revolution at the head of his troops. But during the night between the 8th and 9th everything collapsed. The Emperor’s military and civil advisors, gathered together in Spa, insisted that the Kaiser abdicate and leave for Holland. On November 9th he announced his abdication as Emperor of Germany, not as King of Prussia, and entrusted the Command of the Army to Field Marshal von Hindenburg, appointing him to negotiate the armistice. That same day the Emperor left Germany, never to return. What time can Midnight Mass begin? Updated with PCED guidance. 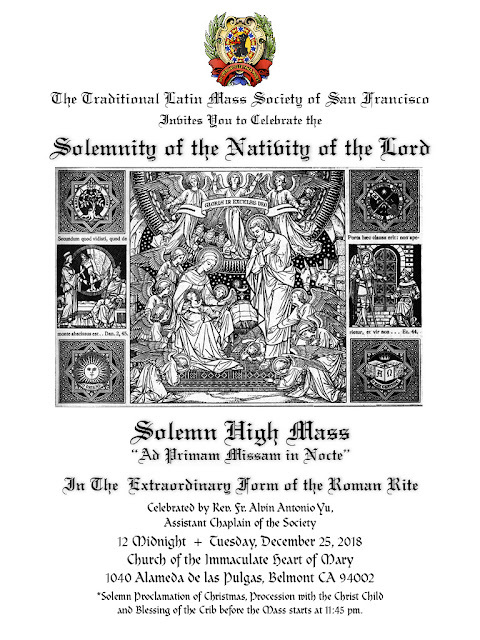 Last year we addressed the question "What time can Midnight Mass begin?," which is usually a novus ordo concern, but can sometimes find its way into traditional Latin Mass parishes. The rubrics go on to explain more solemn days have an Office that starts the evening before. But it is very clear the rubric is talking about the Divine Office -- that is, First Vespers -- not the celebration of Mass. More recently, the Pontifical Commission "Ecclesia Dei" (PCED) was asked by a priest about anticipating the Mass propers (that is, using the propers of a day of precept that has not yet started). Rorate covered the answer here. 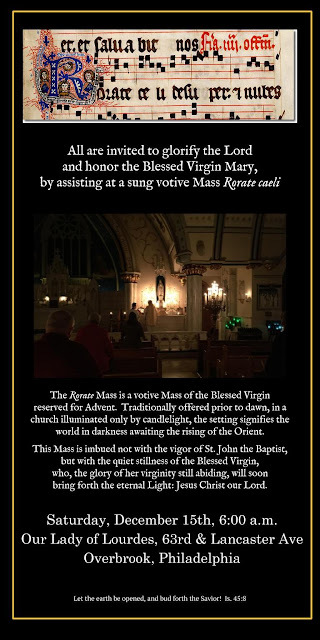 The priest used an example of a Saturday evening traditional Latin Mass, asking if it was licit to use Sunday's Mass propers, to which the Vatican responded "the Mass formulary used should be that permitted on a Saturday." Recently, Judy Roberts interviewed me for an article she was working on for the National Catholic Register. Parts of the interview appeared at the Register on December 16th, but the full interview is presented exclusively here at Rorate. 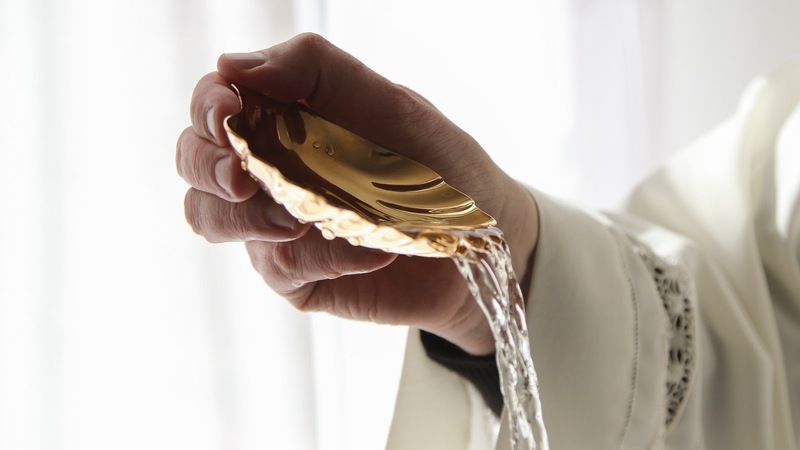 Judy Roberts: In your experience, are more Catholics indeed seeking out Mass in the extraordinary form during this time of turmoil in the Church? What are they telling you as to why? Peter Kwasniewski: Statistics, to the extent that they are available, the creation of new traditional Mass apostolates, and anecdotal evidence shared via social media point to a steadily growing base of faithful who are attending this form of the Roman liturgy. I’m not sure if it’s growing more owing to the current crisis, but what I have noticed is an interesting trend. 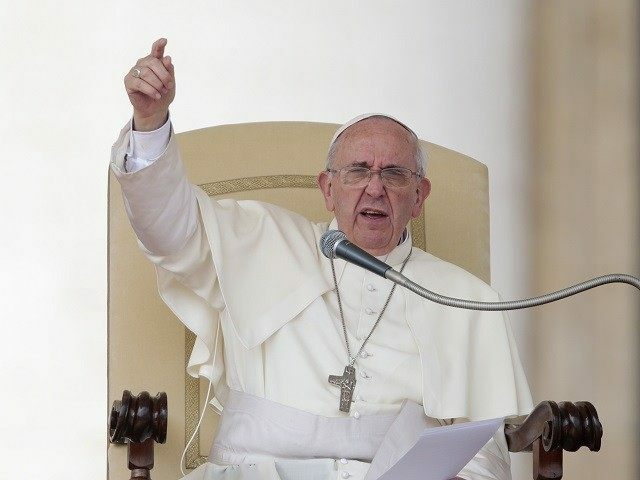 The “progressives” or “liberals” are emboldened under this pontificate to show their true colors more and more openly; the “conservatives,” that is, those who would have been classified as “John Paul II Catholics” or “Ratzingerians,” are diminishing; and the “traditionalists,” who once seemed a negligible minority, have not only shown themselves more numerous than hitherto imagined, but are now occupying the intellectual and moral high ground. The serious work of Catholic restoration is happening in large part due to their efforts. Who are these people? Are they merely older Catholics who grew up with the traditional Mass and are nostalgic for the way things used to be or does this group also include younger people and converts? ARCHBISHOP VIGANÒ: TEMPUS ADEST! THE TIME HAS COME! I, as a priest of the Roman Catholic Church. write this letter to you during the season of Advent, this time of waiting, of expectation, this time of violet that asks us to ponder the meaning of the coming of Jesus Christ into this world of sin and death, to ponder these things in the darkest part of the year when the darkness seems to overwhelm the light. This is the liturgical season in which John the Baptist assumes so powerfully his role as the forerunner of Christ. 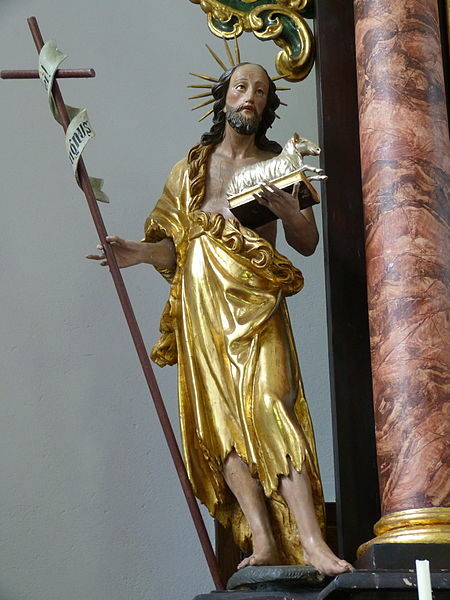 It is John the Baptist who prepares himself for this role by going into the silence and wilderness of the desert to prepare himself in that silence in which God dwells and then comes blazing out of the desert with his words demanding repentance and a return to the Lord and finally an identification of who this Lord is in the person of Jesus Christ. I write this letter to you to ask you to end your self imposed exile and to come out of the desert of silence and speak directly to those who willfully ignore the reality of corruption in the Church and to expose their profane use of silence that cynically mimics Christ’s silence before Pontius Pilate. The reaction of Rome has been to ignore your letters or to attack you personally and finally to adopt a response of silence. Their silence has been deafening, and their bluff of silence has succeeded in blocking all discussion of not only your three letters but also any discussion of the terrible malaise within the Church herself. The emasculating order of silence imposed on the bishops of the United States at their recent meeting in Baltimore had the desired effect. The bishops could not even agree on sending an innocuous request to the Pope to make available the material Rome has regarding the McCarrick scandal. Debolezza triste, mancanza di coraggio. 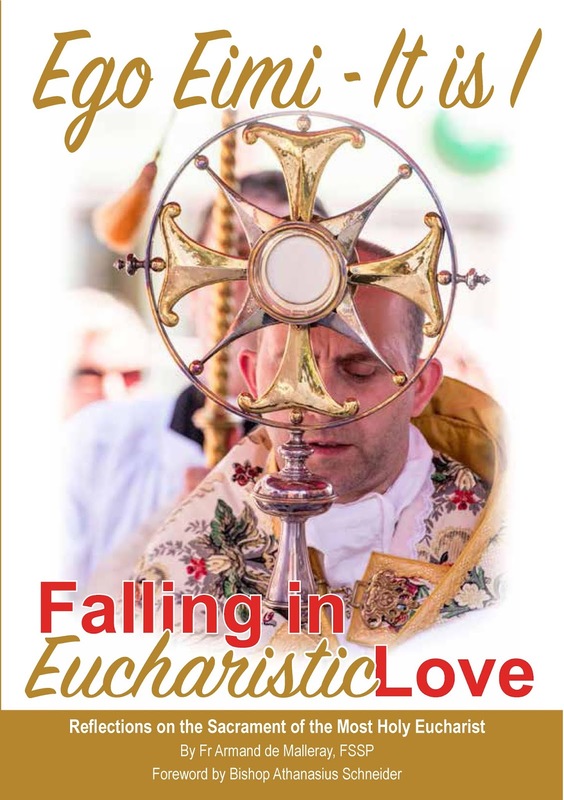 Rorate is pleased to announce the publication of a new and beautiful book on the Most Holy Eucharist, written by Fr Armand de Malleray, rector of St. Mary’s Shrine in Warrington, England, and superior of the English apostolate of the FSSP. 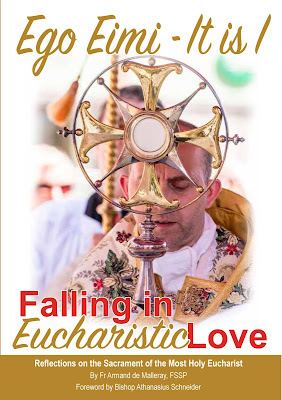 The book, with a foreword by Bishop Athanasius Schneider, is entitled “Ego Eimi: It Is I — Falling in Eucharistic Love.” I had the privilege of reading an earlier draft of the book and found it not only uncompromisingly traditional in doctrine but refreshing and (in the best sense) provocative in its approach. I would recommend it to anyone, but especially to catechizers and religion teachers. There seems to be a need for us to repeat somethings we’ve said often. We do not believe our years-long readers suffer from this syndrome, but there are more than a few people who seem confused, especially those whom Francis has recently driven toward tradition. * Sedevacantism is an untenable position. * Benedict, whom we thank so deeply for Summorum, resigned his post, abandoned us and left us for the wolves, and is no more Pope than the man in the moon. * Pope Bergoglio is indeed the Pope — God help us. Now let’s get back to saving our souls and leaving this utter disaster for God to figure out. Questioned by journalists, the Vatican Secretary of State, Cardinal Parolin (Bergoglio’s right-hand man) declared that presently there is no diplomatic activity involving the Holy See to bring Asia Bibi and her family to safety. He said verbatim: “It’s an internal question that regards Pakistan, I hope it will be resolved in the best ways possible”. An internal question that regards Pakistan? 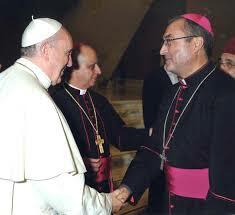 The cynicism of the Bergoglians towards persecuted Christians is horrifying! 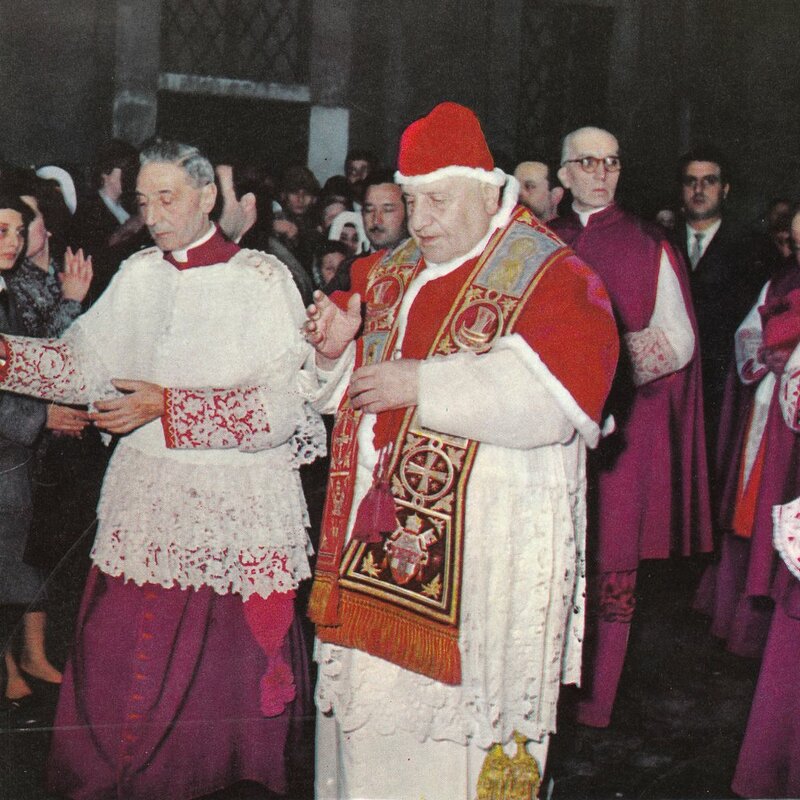 A dear friend and reader of Rorate Caeli alerted us to the fact that a great traditionalist of the 20th century, Count Neri Capponi, died yesterday, on the feast of St. Lucy. Requiem aeternam dona ei, Domine, et lux perpetua luceat ei. Requiescat in pace. Emmanuel : God is with us. 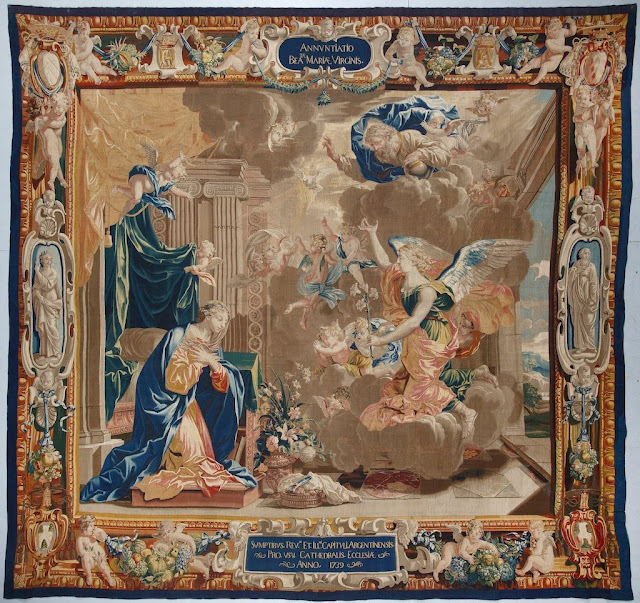 As we approach the great feast of Christmas, join the Institute of Christ the King in the Infant King Novena to prepare for the birthday of our God, the Eternal Word made flesh. Venite adoremus! Join us during these final days of Advent in the Infant King Novena as we prepare to celebrate the mystery of our redemption, the Mystery of the Incarnation. From December 17 through Christmas Day, let us meditate and reflect on the greatest gift the world has ever received and our appreciation of this Eternal Gift in our daily lives. 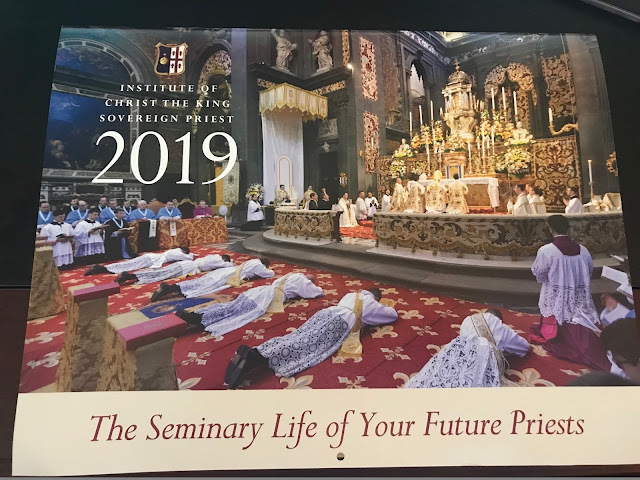 We were thrilled to learned that many, many priests, and several bishops, took us up on the offer and received their free calendars! May them taking this first step lead to many good fruits in the future. Note: If you're a priest or bishop you can get one for free and, if you're a layman, you can send one to a priest for free as well. Just fill out the contact information and instructions on the website and they'll take care of the rest. Aleksandr Isayevich Solzhenitsyn was born exactly years ago, on December 11, 1918, one year after the October Revolution, in a nation in civil war. In the end of the 20th century, and first decades of the new one, the same mistake that paved the way in the mighty Russian Empire in the end of the 19th century, and first decades of the new one: a rejection of good CONSERVATISM, a "slavery to Progressive quirks." Solzhenitsyn was a prophet for our times. Over the past few years, I’ve occasionally posted announcements of old classics that I’ve reprinted under the umbrella of Os Justi Press. These reprints are done through CreateSpace, which yields good quality and allows for low prices. Until recently, Os Justi Press did not have its own website. In fact, it still doesn’t; but at least now it has a dedicated page at my new personal website, where all titles are listed by category and hyperlinked to Amazon. Many titles also say more about the content of the book or point to where such information may be found. For convenience, below all of the currently available reprints are listed by category. Note to retailers or booksellers: Please email me to discuss discounts for bookstores, parishes, reading groups, etc. The Mass: A Liturgical Commentary (2 vols.). Canon A. Croegaert. Trans. J. Holland Smith. Vol. 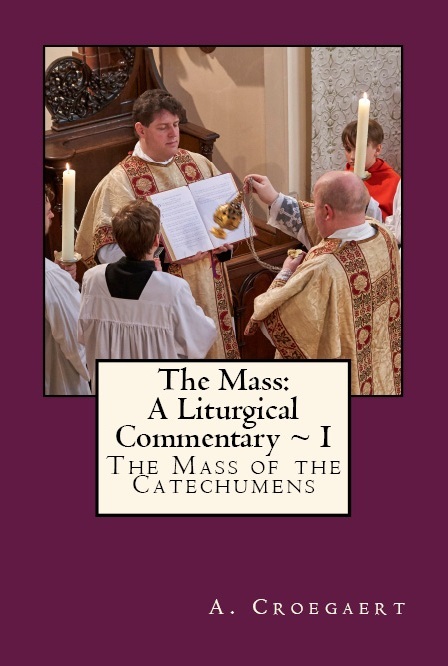 1: The Mass of the Catechumens (x + 251 pp. $17.95); Vol. 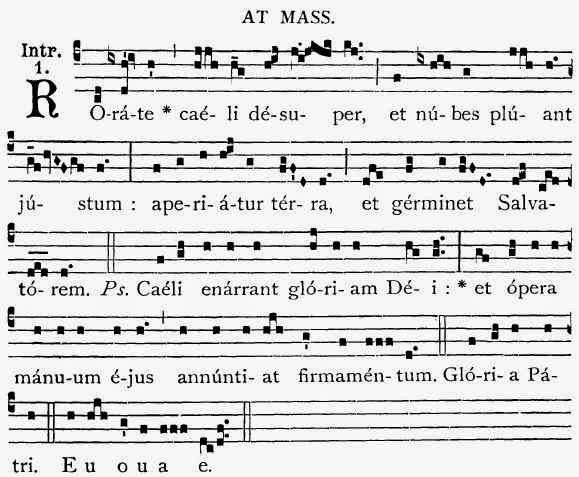 2: The Mass of the Faithful (x + 311 pp. $18.95). The Breviary Explained. Rev. Pius Parsch. Trans. William Nayden and Carl Hoegerl. First published in 1952 by Herder in St. Louis. Paperback, viii + 459 pp. $19.95. A Manual of Catholic Theology, Based on Scheeben’s “Dogmatik.” Joseph Wilhelm, D.D., Ph.D., and Thomas B. Scannell, B.D., with a Preface by Henry Edward Cardinal Manning. Vol. I: The Sources of Theological Knowledge; God; Creation and the Supernatural Order (508 pp. $24.95); Vol. 2: The Fall; Redemption; Grace; The Church and the Sacraments; The Last Things (566 pp. $29.95). The distinguished German philosopher Robert Spaemann passed away on December 10th in his house in Stuttgart after a long illness. 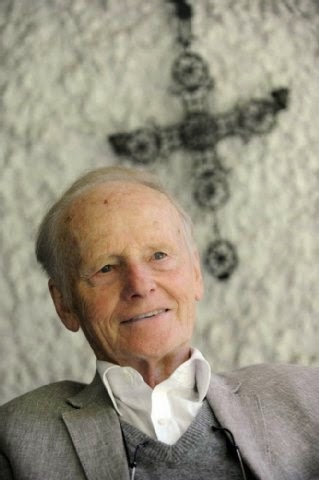 In Spaemann the Catholic intellectual world has lost one of its greatest lights, and an eloquent defender of the traditional Mass and traditional Catholic doctrine, as well as of the perennial philosophy. A proper review of this book will be coming along at Rorate later, but it seemed a good idea, especially in the Christmas season, to let our readers know about one of the great publishing events of the decade: the first full-length "scientific" biography of Archbishop Annibale Bugnini. Until now, the only biographies available have been short (usually hagiographical) accounts by Bugnini's disciples and friends, or the lengthy (and definitely hagiographical) writings left by Bugnini himself. No professional historian has tackled this important and intricate figure until Yves Chiron did so in Annibale Bugnini (1912-1982): Réformateur de la liturgie, which appeared at the beginning of 2016. Thanks to the diligence of John Pepino and Angelico Press, an English edition has now been released. Below is the publisher's announcement. In this book, French historian Yves Chiron turns his attention to one of the most influential figures of 20th-century Catholicism: Annibale Bugnini, guiding spirit of liturgical reform in the period surrounding the Second Vatican Council. Highly controversial in his day, and down to the present, Bugnini has attracted high praise from his disciples and vilification from his detractors—but all agree that without his energetic organizational skills and access to the levers of power, the most extensive overhaul of the Roman Catholic liturgy in the history of the Church would not have taken place as it did. Yet who was Bugnini, really? 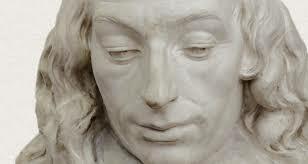 What were his formative experiences, personal ideals, intellectual assumptions, practical aims? How did he accomplish so much in so short a time? 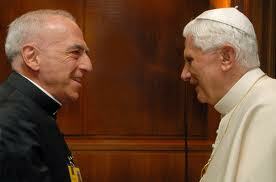 Why, after such a singular collaboration with Pope Paul VI, did he suddenly fall from grace and suffer exile? Should he be remembered as liturgiae amator et cultor, lover and servant of the liturgy (his epitaph), or as the éminence grise of an unscrupulous reinvention of Catholic worship? Can we cut through the legendary, the polemical, and the partisan, to arrive at a clear portrait of the man and his work? Sermon for the Second Sunday in Advent: "What did you go out to see?" This Gospel is full of questions. The primary question by Saint John the Baptist, and then the questions asked by Jesus to the crowd. This Gospel is one of the reasons why I love the season of Advent. There is never enough time in Advent. There seems to always be enough time in Lent, but Advent is something that seems to pass through our fingers. And yet…and yet, it is in the encounter with the Gospels read during the Sundays of Advent that we are forced to stop and look and hear and ask questions of ourselves. 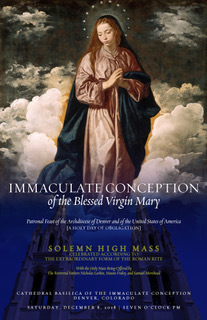 IN THIS SATURDAY, a day traditionally dedicated to Mary, the Church celebrates a great mystery, the Immaculate Conception of Mary. Among all the mysteries of the faith, this one is assuredly one of the most unfathomable. How might we approach it? We shall be helped by the readings of the Mass. 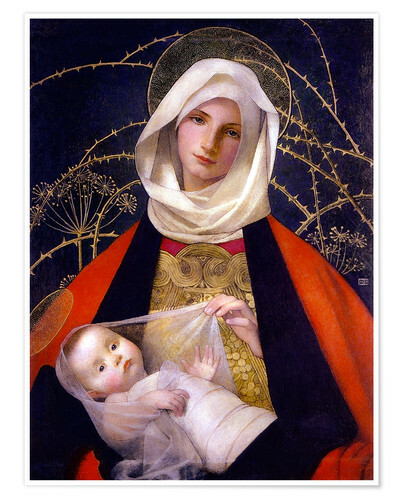 The eternal Wisdom who is speaking in these lines, already beside God during the creation of the world, will incarnate itself in Mary’s womb, making itself a human word: that is Christmas’ mystery. Cardinal Schönborn of Vienna has once again made a mockery of St. Stephen's Cathedral. 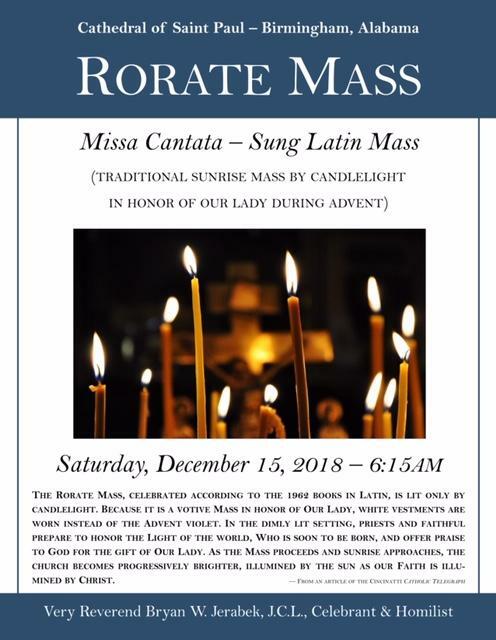 Advent, the first season of the liturgical year, marked by the chanting of "Rorate caeli", starts tomorrow, at First Vespers of the First Sunday in Advent. The Pontifical Commission "Ecclesia Dei" responded to a 29-question letter from a priest in Poland on numerous aspects of the traditional Latin Mass and 1962 liturgical law. Posted on the Church Music Association of America's "Musica Sacra Forum," the questions ranged from ultra-specific Gregorian chant methods permitted, to who may function as a subdeacon. Some of the answers are standard, and some simply point to Summorum Pontificum or Universae Ecclesiae. But some of the answers are new, or at least newsworthy to see answered in 2018. #2: PCED clearly states the Confiteor before the communion of the faithful is licit, responding "in those places where the practice exists, this may be continued." #5: The practice of "anticipated Masses" -- sadly, found in a handful of TLM locations -- is illicit. 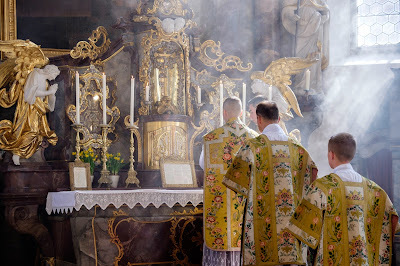 Although technically a Mass offered on the evening before a Sunday or holy day of obligation fulfills one's obligation for the Sunday or holy day (under post-Vatican II canon law), the traditional Latin Mass may NOT use the next day's propers. PCED has declared, using the example of a Saturday evening TLM, "the Mass formulary used should be that permitted on a Saturday." This is perhaps the most newsworthy response of the lot, as it will require some TLM churches to change their current practice. A TLM offered on a Saturday evening must use Saturday's propers. A TLM offered on the evening before a holy day of obligation must use that day's (not the holy day's) propers. Although PCED did not give a reason, it is safe to say that the decision is based on the rubrics in place in 1962. Under part one, "general rubrics", chapter two, number four, the liturgical day is explicitly defined as midnight to midnight, with solemn days having first vespers -- not an anticipated Mass -- on the preceding day. Literary critics are a prickly and opinionated group, but they have always agreed that one of the greatest works of Western Literature is Dante’s Divine Comedy, both as poetry and as human epic. A few years ago a human rights organization called Gherush 92, which acts as a consultant to the United Nations body on racism and discrimination called for the banning of Dante’s Divine Comedy, specifically the first part called the Inferno, from the classroom. Dante’s epic is “offensive and discriminatory” and has no place in a modern classroom, said Valentina Sereni, the group’s president. She went on to say: “We do not advocate censorship or the burning of books, but we would like it acknowledged , clearly and unambiguously, that in the Divine Comedy there is racist, Islamophobic and anti-Semitic content. Art cannot be above criticism”. She goes on to say that school children who studied the work lack the “filters” to appreciate its historical context and were being fed a poisonous diet of anti-Semitism and racism. Many Rorate readers will already know about the magnificent website The Josias, which, among other merits, explains and defends traditional Catholic Social Teaching better than any other site I have ever seen. Recently, The Josias published a remarkable three-part essay by Thomas Pink called "Vatican II and Crisis in the Theology of Baptism" (part 1, part 2, part 3). This, to be quite honest, is the best article I have read in years about the unmooring of Catholic theology from traditional Catholic doctrine since the Second Vatican Council, and a deeply insightful explanation of how we have ended up with the debacle of Pope Francis. In those cases in which the State is interested as well as Religion, your apprehension of man's justice has induced you to divide your decisions into two shares. 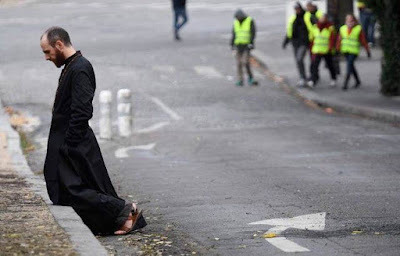 To the first of these you give the name of speculation; under which category crimes, considered in themselves, without regard to society, but merely to the law of God, you [the Jesuits] have permitted, without the least scruple, and in the way of trampling on the divine law which condemns them. Our latest 2019 liturgical calendar review comes from the always-focused-on-beauty Institute of Christ the King Sovereign Priest. In the print edition of today's USA Today, online here, is a sad commentary by Melinda Henneberger, a former Vatican correspondent for the New York Times, where she announces her apostasy. Henneberger, who is known to be center-left (dissident on, for instance, Humanae Vitae, but sympathetic toward limited pro-life causes) via her many years of writings, blamed her apostasy decision on "these men" and "the men who run the church" while avoiding any blame toward the man who runs the Church. Who runs the Church? Who is the Supreme Pontiff? Who blocked the U.S. Conference of Catholic Bishops this week from moving forward with a plan to get serious about the abuse crisis? Even Tom Reese, S.J. (deemed too liberal for America magazine), called the move this week a "disaster" that would result in "terrible public relations for the pope." Labels: Crisis of Bishops, The Bergoglio Pontificate, The Francis Effect?